Pre-riding the Hartland Island Cup course. Quite a change from the AZ courses! There is still snow on the ground. It’s very unusual in Victoria! 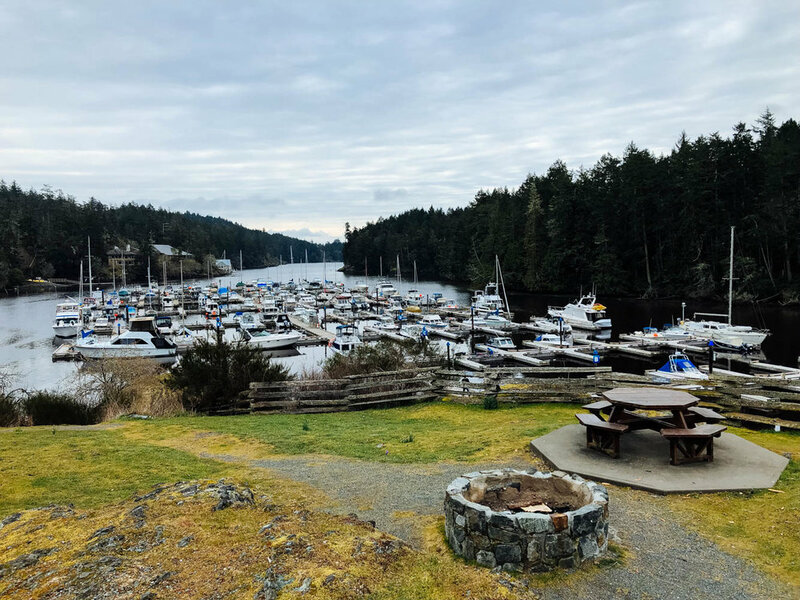 The view from our beautiful campground - Pedder Bay RV Resort and Marina. The girls were pretty excited and nervous to race the first Island Cup of the season (it’s their first time here). Mara had a great start and was keeping up with the strong girls until she got a flat, Aisha’s and Mathilde’s timing chips got mixed up, so they didn’t have their results, which wasn’t acknowledge before podiums (Aïsha was waiting for her turn on the podium and someone else got called because of the mixed results, even if she really was third…). They all acted with such maturity and positive attitudes, it was very heartwarming to see. 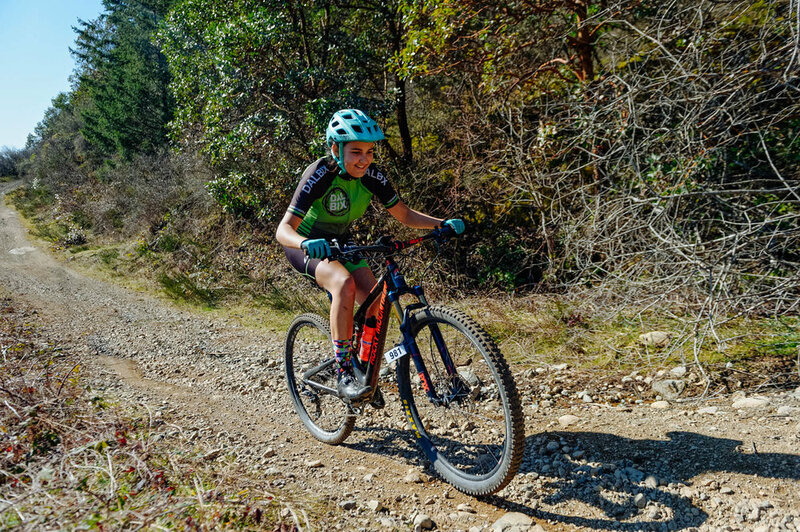 Mathilde said she had her worst race ever (they rode a lot this week and their legs were shut), but that she had fun and was proud of herself. All in all, a success! And this community is simply amazing. Mathilde and I when on a paddling date. It was so beautiful, seals were playing hide and seek around our kayak, a trumpeter swan landed beside us and a bald eagle took flight nearby. We could even see the snowy peaks of Olympic National Park in the US in front of us. JF and are celebrating our 20th anniversary (well, as you know, we’re not married, but that’s 20 years from our official dating date) and it is my birthday in a few weeks as well, so he treated us to a guided tasting flight in the cellar of Bear Mountain Resort. Every Friday, there is a different theme and this week was Italy. How perfect! The sommelier led our group down to this incredible room with a huge table covered with canapés prepared with local cheeses and charcuteries, and guided us through a tasting of 8 different wines. When they brought out the lobster cakes, I looked at JF with big round eyes and asked: How much was this thing? He said: well it said from 40$ per person… So we laughed imagining cameras looking down on us to see how much food we ate from the decadent spread and charging accordingly! It turned out to be just a little over that and I kept bugging him that it was because he went for the prosciutto 3 times! It was so fun to be with him in such a different setting. It really felt like we had traded life with another couple for an evening, in a weird but cool way.